A leather shoe part of the Traverse X approach series, designed for technical approach routes, via ferrate and hiking: lightweight, comfortable and with a look derived from climbing it is the ideal choice for mountaineers and mountain enthusiasts. 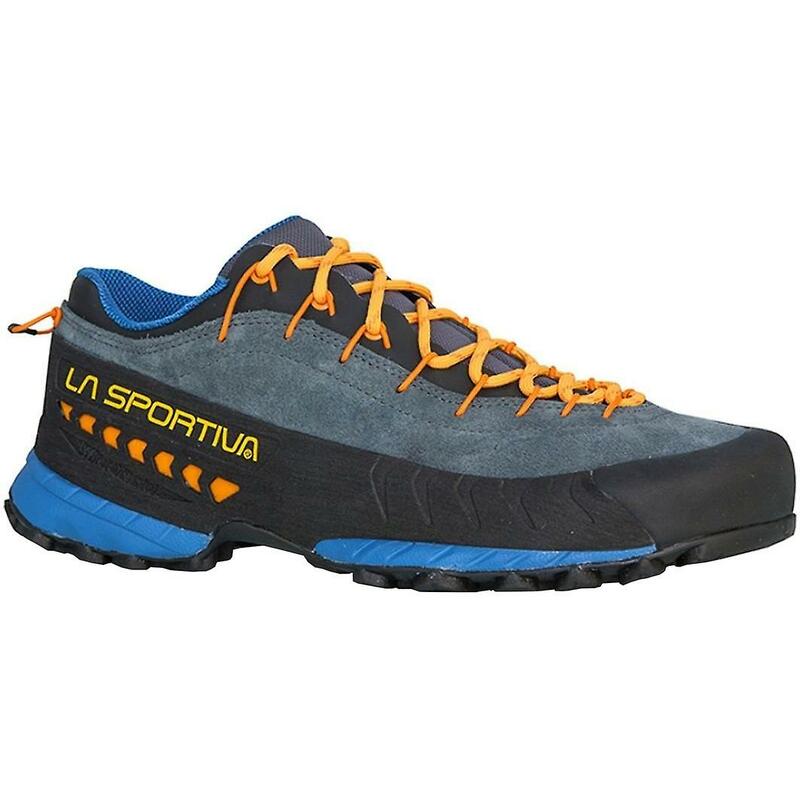 Leather shoe designed for technical approach routes and via ferrata, part of the Traverse X approach series: ideal for prolonged use by mountain guides and all those who work in the mountains. Every detail has been studied to guarantee grip, comfort and protection during approach routes and to encourage technical use right up to the base of the wall. TX4 is a sturdy “built to last” boot, thanks to the STB Control System™ that provides structure and torsion stability. The hard wearing leather uppers have an essential design and are high abrasion resistance thanks to the PU TechLite all-around rand: The Vibram MegaGrip sole with climbing zone at the toe and Impact Brake System at the rear are designed for climbing routes and return trails on technical terrain. The lacing system derives from the Mythos climbing shoe and regulates tension and internal volume in one easy move. Traverse X the ultimate expression of moving in the mountains in comfort, speed and safety.